Din Tai Fung—one of, if not *the* best place in Southern California to slurp down some soup dumplings, is closing the doors of its original U.S. location in Arcadia on Monday. Eater reports that the closure of the space on South Baldwin Avenue, as well as its more recent annex down the block, is to, more or less, make way for the restaurant&apos;s forthcoming location in the Westfield Santa Anita mall. This iteration of Din Tai Fung will reportedly act as the"flagship" restaurant for the San Gabriel Valley. As for what will become of DTF&apos;s spot in the original strip mall, where it had thrived for 16 years, Eater notes the space is set to be remodeled, and will "eventually return as a mostly takeaway option with a limited menu." 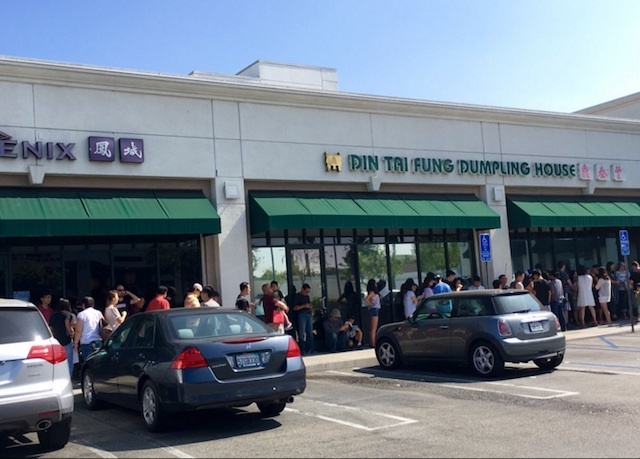 Over the last few years, Din Tai Fung has expanded its reach throughout the southland, opening locations at Glendale&apos;s Americana at Brand, the Del Amo Fashion Center in Torrance, Orange County&apos;s South Coast Plaza, as well as expanding in Arcadia itself, just down the block from its original location. So, it&apos;s not as if this particular closure will impede you from getting your paws on some DTF XLB, but if you have a particular attachment to the original, humbler location, you better get there before it&apos;s too late, or else you&apos;ll have to brave the crowds in a goddamned mall. The original Din Tai Fung Dumpling House #1 is located at 1108 S Baldwin Ave, Arcadia, CA 91007.